Most passengers don’t even know they exist, but themed cruises are as big a part of cruising as working on a tan or sipping an umbrella drink. What is a theme cruise? Put simply, it’s a special sailing that caters to a specific group of like-minded people. Often times these trips happen alongside a typical trip. 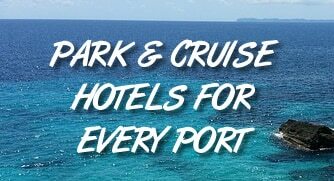 Just like a hotel catering to a wedding, which provides a block of rooms to the wedding party, a cruise line will offer up a block of rooms to the themed cruise guests. But if there are enough people interested (or the theme isn’t family friendly), then companies will charter the entire ship, then resell rooms to guests. That turns the entire ship into a floating theme party. What’s most interesting is that there are themes for just about any niche you can think of. From music to lifestyle to poker, if there is an interest, then there is likely a cruise that caters to it. We’ve rounded up some of the most unique themed cruises setting sail soon to give you an idea of what’s out there. Like Latin dancing? I mean, really like Latin dancing? This cruise departs from Los Angeles en route to Mexico, offering 72 hours straight of dancing, upbeat music, and fun. There are day and night dance parties, as well as dance performances for guests. Not sure of your moves? There will be workshops to help you learn a step or two. Adult-themed cruises are a big draw. This cruise caters to like-minded gay guests, sailing from Miami to Nassau, CocoCay, and Key West before returning to port. The entire ship is chartered for this cruise, giving passengers a chance to mingle in a safe, judgement-free zone. Are you and your significant other a little more playful and adventurous? This cruise caters to folks who are swingers, exhibitionists, nudist, or just like to have a little open fun in the bedroom. It sails from Miami to Progreso and Cozumel, Mexico aboard the Celebrity Bliss. Onboard your ship are theme nights (Fetish night, anyone? ), as well fantasy play rooms for your and your partner to join in the fun. On shore you’ll find clothing optional excursions. Want to learn from some of the world’s greatest investors? The Forbes cruise offers on-ship talks from Steve Forbes, Mark Mobius, Ken Fisher, and more. There are even intimate cocktail receptions where you can meet and mingle with the experts and like-minded investors. The trip sails from Singapore, stopping in Thailand, Cambodia, Vietnam, and China before ending in Hong Kong. Want to sail with legends like Sammy Hagar, Bad Company, Blue Oyster Cult, and others? This cruise aboard Independence of the Seas heads from Fort Lauderdale to Cozumel on a four-day trip. There are performances, meet and greets, and memorabilia auctions. If you’re a fan, this is likely to be the coolest way to rub elbows with the bands and artists you’ve been listening to for decades. Big hair, spandex, and awesome music… there’s a lot to love about the 1980s. This cruise helps you re-live that time of life for an entire week. The ship sails from Fort Lauderdale, stopping in Cozumel, Grand Cayman, Ocho Rios, and CocoCay. While on the ship, there is ’80s karaoke, an ’80s cruise arcade, musical guests including Cheap Trick, Morris Day, and The Romantics. Only a few cabins are left. Any cruise you go on will have some poker being played in the ship’s casino. But not like this. The poker cruise sponsored by Card Player Cruises sails aboard Royal Caribbean’s Liberty of the Seas from Galveston. While on board, this themed cruise has a ton of poker tournaments, including no-limit, survivor, and cash games. While it’s sometimes tough to get a good poker game going at sea, it’s no problem on this trip. Ok, this cruise doesn’t have any 2017 dates announced yet, but this annual cruise is one of the most popular. It features performances and hanging out with one of the original boy bands — New Kids on the Block. Last year’s cruise sailed from New Orleans and headed out in late October. Look for a similar time of year in 2017. If you’re interested, be sure to check for date announcements.